The second of 5 special, daily anniversary episodes of the podcast featuring conversations with listeners. 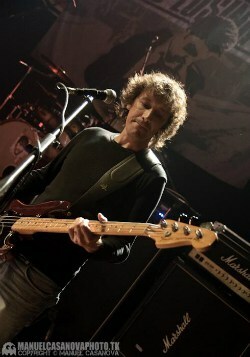 Today, it’s bass maestro, Miguel Falcão. 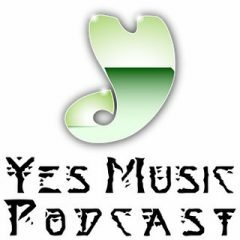 I was expecting you to mention the Bulgarian music with a Yes connection! “Angelite” – Voices of Life by The Bulgarian Women’s Choir is an absolutely fabulous CD of (obviously) Bulgarian choral music, from the group that are perhaps best known for their work with Kate Bush. The CD was produced by Eddie Jobson. He also wrote the sleeve notes, and designed the package. And there are some interesting guests, too. Track 1 features Bill Bruford, and Track 6 has both Tony Levin and Eddie Jobson (on electric violin). Just doing a bit more research, and I discover that “Mystery of Bulgarian Voices” is almost the same album as “Voices of Life”, but without the Yes connection! I should also have mentioned that three of the “Voice of Life” tracks were composed by Eddie Jobson. Anyway… I’m very much enjoying these short daily episodes. Looking forward to the rest. Hi Russell, you’re right! I also should have added another one: In “The Beat”, Bill Bruford’s video, there is a segment where Robert Fripp speaks about Bulgarian Folk Music and odd-meters! Thanks for your contribution! Thanks for that info – I didn’t know about the Fripp comment. 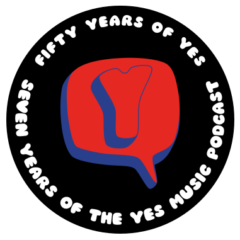 Which is actually quite surprising, because I’m possibly even more of a Fripp/Crimson fanatic than a Yes fan! Let me recount my own Bulgarian experience. I was there on business for two weeks in the summer of 1992, not that long after the fall of the Soviet Union – so it was a challenging and confusing place to visit. As part of that trip, a group of us had to travel from Sofia to Varna by mini-bus. We had a lunch break at a small roadside cafe with outside tables. There was a radio playing a local pop music station, mainly playing Bulgarian music with some Michael Jackson thrown in. One song caught my attention with its very odd meter, and I had to count carefully to work out that it was in 11. I had to consciously keep counting to work out what was going on. What was really funny is that I noticed a table of local workmen who were tapping their fingers and their feet to this music, but very obviously were doing this without having to work as hard as I was. No doubt they had been listening to songs in 11 since an early age! Unfortunately I didn’t get a chance to find out what I was listening to or to collect any music on that trip, but since that experience I’ve always found Bulgarian music very interesting. Hi Russell, what a beautiful story. I could imagine the atmosphere and the Bulgarians so naturally tapping along the Kopanitsa, which is most likely the name of the dance which corresponds to the 11 meter. This was the first “horo” (dance) I learned on the gadulka this summer. Not something to begin with but this was my third time so my teacher thought I’d be ready for it. Robert Fripp seems to be quite informed and influenced for a long time. 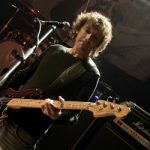 I’ve found many times now that my experience of Bulgarian Music helps me to “tackle” these irregular beats in the rock/pop context, and I’m applying it on the online lessons as well. 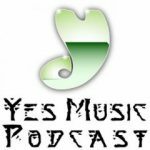 Great to hear Miguel and his Yes experience, especially as it relates to our favourite band member Chris Squire. What a great bloke he is and so full of musical insight. Thank you very much, Jeremy! It’s a joy to be able to communicate with more Chris’ fans and discuss his music and legacy. I’m always lost for words at how brilliant he is – people like him put so much into their Yes efforts, it’s incredible.